Easy .......... just take a photo of the parts layout so you don't forget how it all goes back - loads make a hash of remembering !!!!!!! I have the same problem right now, I kept greasing the shoe slots and reset the distance from the disk, but the noise comes back and I think it's because the adjust keeps moving. I got to find a way to stop it. Gets my handbrake higher after a month of driving. Don't really want to use loctite. (30-09-2016, 09:58 PM)Kokain Wrote: I have the same problem right now, I kept greasing the shoe slots and reset the distance from the disk, but the noise comes back and I think it's because the adjust keeps moving. I got to find a way to stop it. Gets my handbrake higher after a month of driving. Don't really want to use loctite. I would replace shoes cylinders and drums. The adjusters won't be backing off, just not working. Clean them up and use ceramic grease on the threads. 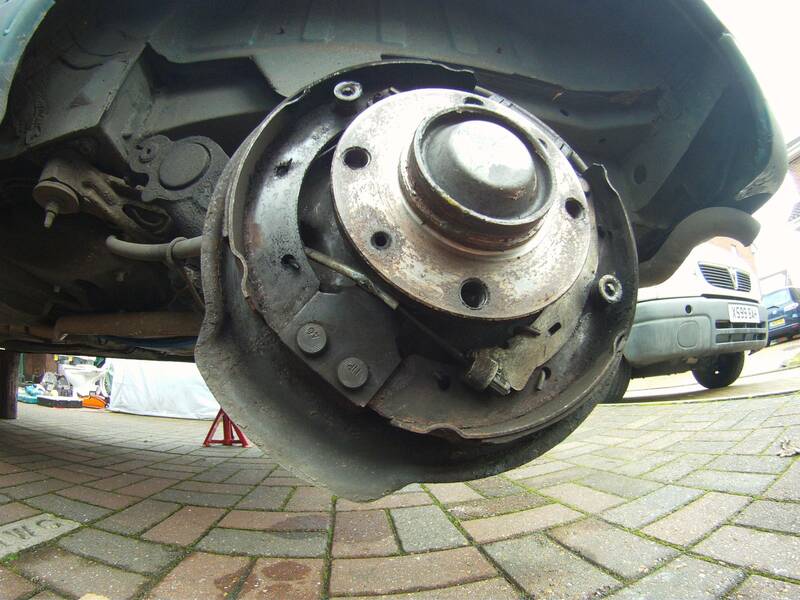 Make sure the handbrake operating arm on the rear shoe is free to move and handbrake cable is extended enough for the arm to be in the fully rearward position as this is what adjusts the rear brakes. 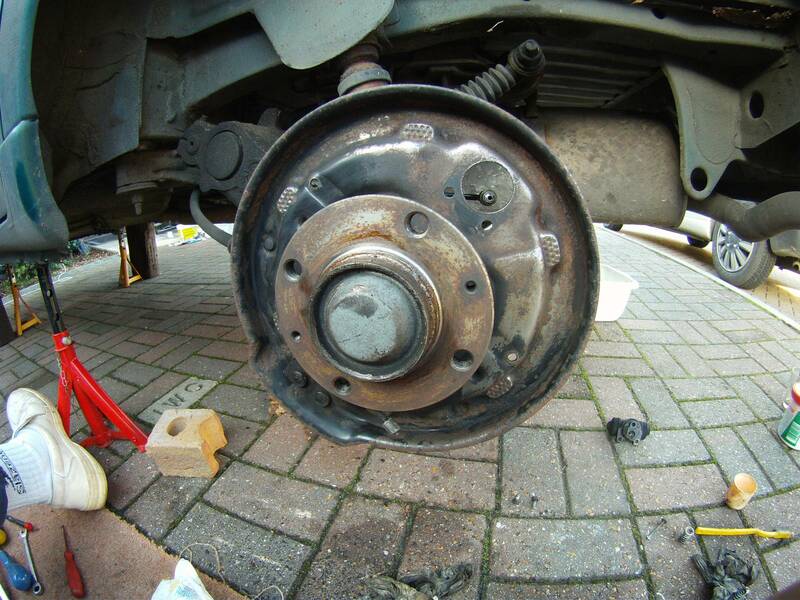 If the arm is slightly forward, back off the handbrake cable untill it is fully back. If the cable is too tight you will get the problems you describe. Something badly wrong there and has been for quite some time going by that much uneven shoe wear I'd be wanting to strip it all down to start again. 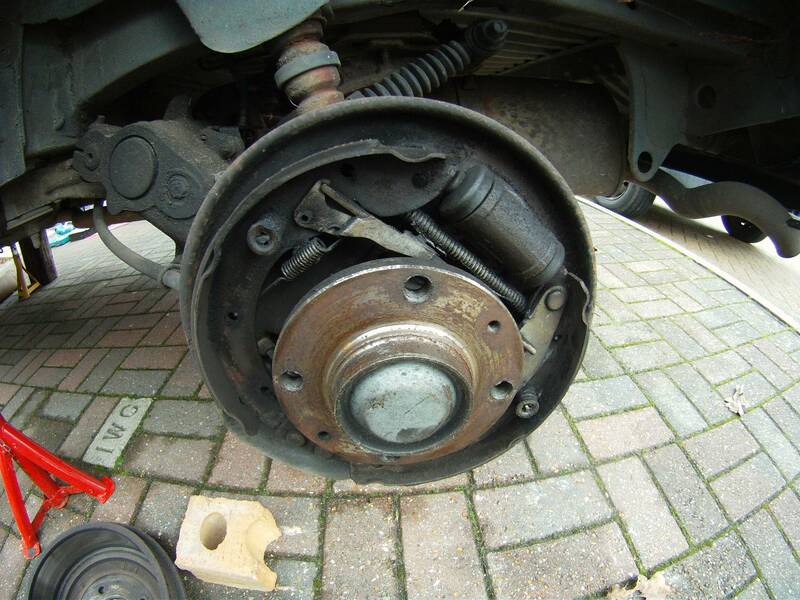 Also your handbrake cable doesn't look very healthy from the photograph and appears to be kinked and or chafed ? Check it moves freely as a stiff cable can cause the adjustment to wander and action to be incorrect. Also it has been a while since I was doing brakes but does the cable run behind or in front of the shoe retaining plate ? (01-10-2016, 09:10 AM)geoff Wrote: Also your handbrake cable doesn't look very healthy from the photograph and appears to be kinked and or chafed ? Good spot. That cable should be behind the plate.